To deepen friendship and foster exchanges between the people of the two countries, the Japan festival has been held in Laos annually since November 2011. The year 2015 was a special one as the festival was launched to also mark the 60th anniversary of diplomatic relations between Japan and Laos at National Cultural Hall in Vientiane. 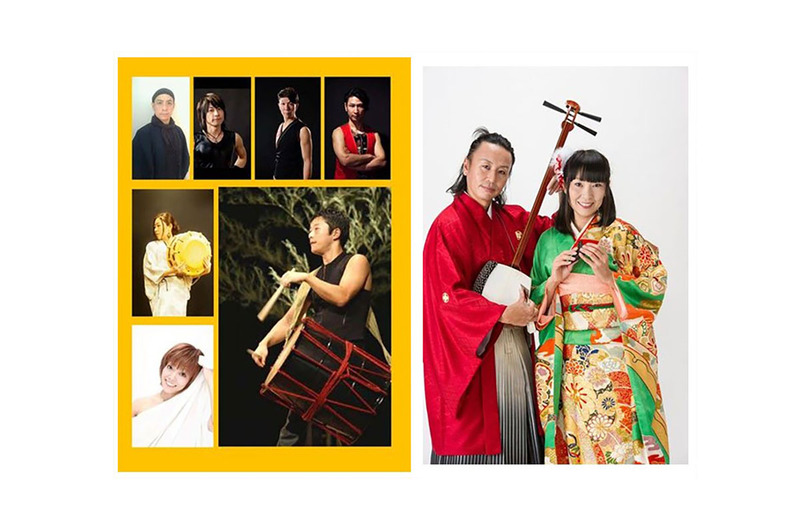 While presenting to the crowd with a lot of events ranging from Japanese culture, industry to a variety of entertainment shows, Mandara kagura Concert was one of the highlights. The concert featured Shimasen and Taiko, of which have long played an important role in Japanese culture and history. Believed to be developed from the Okinawan Sanshin, Shamisen was a three-string lute while Taiko is a barrel-shaped drums. The instruments are popularly being played and used for the musical accompaniment in traditional theaters such as Kabuki and Bunraku as well as in festivals. The concert was a great success as the Lao artists danced to the harmonious combination of the powerful beats of Taiko (Japanese drums) and the exquisite sound of Shamisen (Japanese string). The concert received loud cheers and a big round of applause from the audience. The three-day event received more than 11,000 participants, remarkably strengthening ties between Japan and Laos to another level.